Cluster the keywords into the relevant groups that can be used afterwards for marketing purposes There are multiple tools on the Web (some are paid, some are free) that can be used for the keyword research, however each of them has some limitations. In most of the cases these tools cover only some of the steps described above, e.g. AdWord & SEO Keyword Permutation Generator only focuses on step 2. Keyword list extension by merging multiple seed word lists. Keyword Planner, on the other hand, has another limitation, it takes only 10 keywords to generate new ideas, i.e. requires user to repeat the same action multiple times to get good data. An observation that the keyword research always follows the same pattern became an inspiration for this project, purpose of which has been to automate the research process as much as possible to save the time and produce the best results possible in a short time. 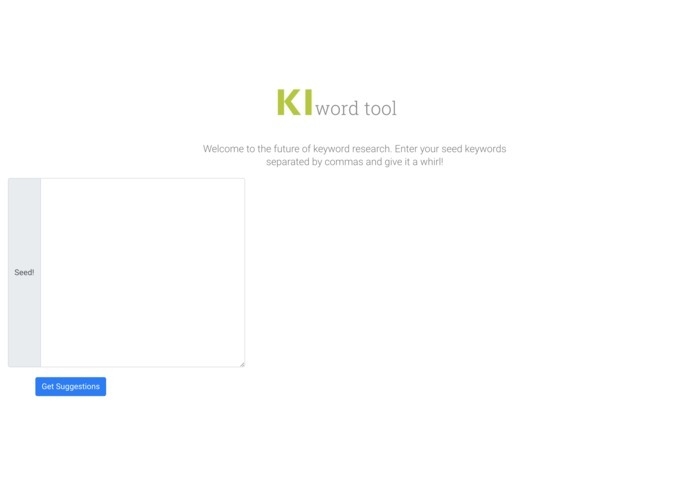 The KI-word tool extends the keyword list by employing the API connection to the keywordtool.io. 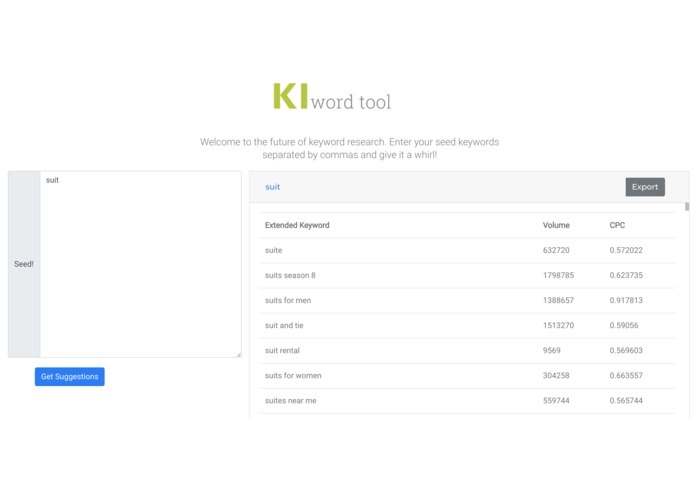 The advantage of keywordtool.io is that it provides a wider range of the keywords, since it covers also those keywords hidden by Google Keyword Planner. As we explored different APIs, our first stop was Google Ads API which we configured. The discovery has been however that it would take a couple of days for an approval process. The Keywordtools APIs has been a quick alternative solution, therefore the decision has been made to employ the last. We are happy that we managed to build a tool that made it possible for us to automate the process and tremedeously save the time. We are proud that the same project that would have taken ca. 5 days of research time without the tool, could now be completed in 1-2 days. We have learnt one more time that incredible products with a huge business value can be built by means of marketing & product collaboration. It has been a very productive knowledge exchange on both sides.